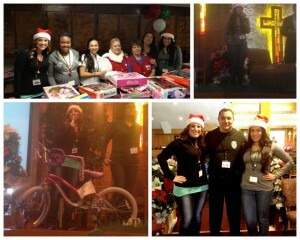 Pictures from the We Care East LA Holiday Party! We just received some photos from the We Care East LA holiday event that was the recipient of all of your wonderful toy donations and we thought you might like to see some. Check out that amazing princess bike!! Everyone at Alliance Environmental Group wishes you and yours a VERY MERRY CHRISTMAS!